It soon became clear this was a brutal far-right terrorist act, which left 50 Muslim worshippers at Friday prayers dead, and many others injured. Many of those affected were refugees from warzones such as Syria, who saw New Zealand as a safe haven. Horrifically, the attack was streamed live. It took hours to remove videos from social media platforms. The attacker, Brenton Harrison Tarrant, was born in Australia. He was active on extreme right-wing forums, and declared in an online manifesto: "For once, the person that will be called a fascist, is an actual fascist." This is another warning to the labour and trade union movement and working-class communities worldwide of the need to build a united movement to defeat the far right. Last year, killings by the far right were at the highest level for over 20 years in the United States, according to the Anti-Defamation League. This included the white supremacist attack on a Pittsburgh synagogue that killed eleven people. In 2011, Anders Breivik murdered 77 people, mostly at a summer camp of the youth wing of the Norwegian Labour Party. In Britain, we have seen the murder of Jo Cox MP, and the attack on the Finsbury Park Mosque. Police are reportedly treating a stabbing in west London on 16 March as a terrorist incident inspired by the far right. We have also seen terror attacks by right-wing political Islamists. The Socialist Party completely condemns these, just as we do the far right. The Christchurch attack has shown the hypocrisy of the establishment political parties in New Zealand and elsewhere, whose polices have helped legitimise the policies of the far right. The Labour-led New Zealand government blames the lack of gun control. But New Zealand Labour is in coalition with the right-wing populist New Zealand First party, which has an anti-immigrant agenda. It only dropped its election promise to hold referendums on reducing the political rights of the indigenous Maori population in exchange for becoming part of the government coalition. The Indonesian government has now called in the Australian ambassador after right-wing Queensland senator Fraser Anning tweeted: "Does anyone still dispute the link between Muslim immigration and violence?" In a statement shared by an Australian journalist on Twitter, Anning also wrote: "As always, left-wing politicians and the media will rush to claim that the causes of today's shootings lie with gun laws or those who hold nationalist views, but this is all clichéd nonsense. "The real cause of bloodshed on New Zealand streets today is the immigration programme which allowed Muslim fanatics to migrate to New Zealand in the first place." This outrageous racism is in stark contrast to the magnificent support and solidarity of ordinary working-class people from all communities, both in New Zealand and globally. This attack is in the context of rising instability in a period or global capitalist crisis in the decade since the financial crisis and the Great Recession. The working class has shown great fighting capacity around the world in defence of living standards and the gains made in the post-war period, now threatened by rapacious capitalism. This has included New Zealand. In the last year, nurses, teachers, public servants, railway workers, cleaners, bus drivers, fast food workers, airport workers, dockers, and even junior doctors have taken strike action in pursuit of improved wages and conditions. This has come after a decade when workers' action has been at a low ebb. Workers have been forced to fight as the Labour-led coalition has continued with the austerity policies very similar to the previous conservative National Party administration. The role of so-called Labour governments like this has helped create a political vacuum which the far right can try to fill. Both in New Zealand and elsewhere, the labour and trade union movement, if it is prepared to fight, is the key force to combat the far right, which seeks to divide the working class in defence of big business. 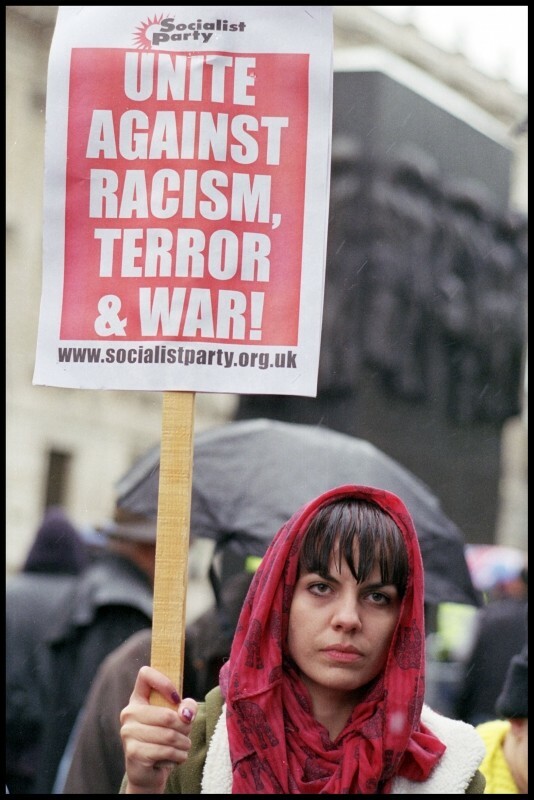 In Britain, a composite motion originally written by Socialist Party members in general union Unite at last year's union policy conference means that Unite's policy is to launch a 'Jobs, homes not racism' campaign. This in turn has now become official Trade Union Congress policy. This would link the fight against austerity and for socialist policies to the need for united workers' action to isolate the far right, which is trying to exploit the establishment crisis over Brexit for its own ends. A key necessity is for the unions and Jeremy Corbyn to mobilise workers to fight for a general election to get rid of the Tories, and for a left Labour government on a socialist programme. The horrendous events in Christchurch have shocked the world. Many will be asking: what is the way forward? The response must be mass workers' action. Individual terrorism only plays into the hands of the capitalists and the far right. Finsbury Park attack: No to terror, racism, war and austerity!